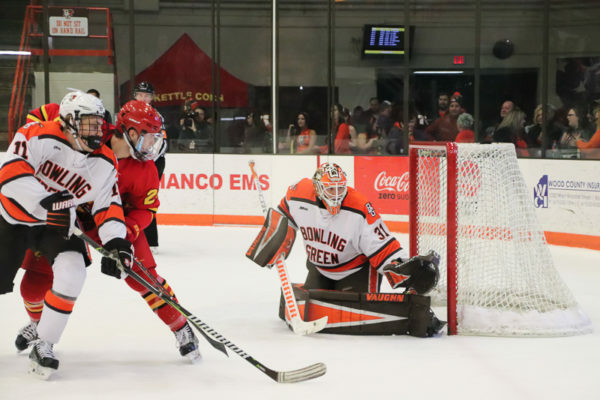 Bowling Green, OH – The 9th-ranked Falcons’ cold streak on the offensive side continued Saturday. 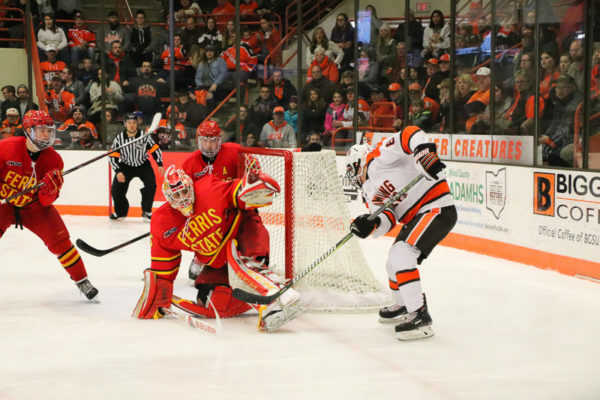 They couldn’t solve Ferris State in a 3-0 shutout loss. 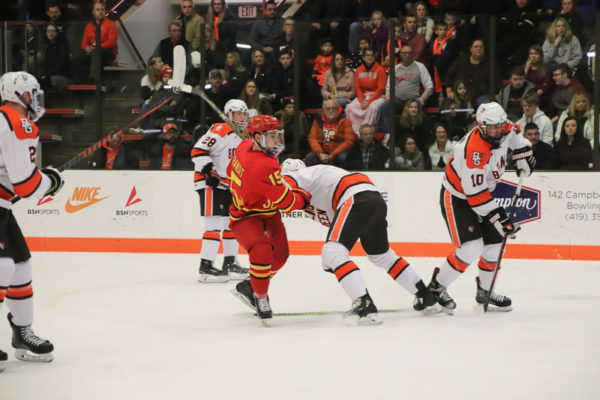 The Bulldogs struck first at 19:15 of the first period. 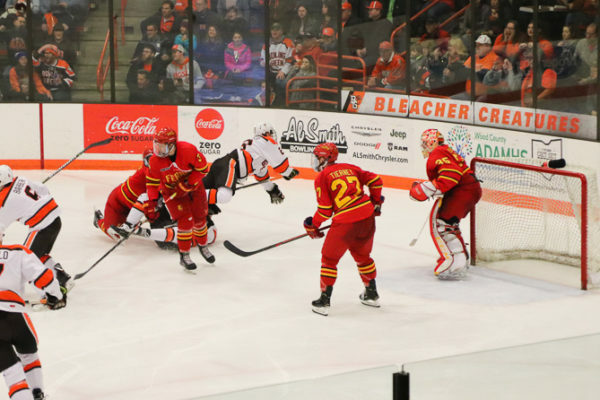 Craig Pefley finished a rebound on a shot by Jason Tackett to give Ferris State the 1-0 lead. 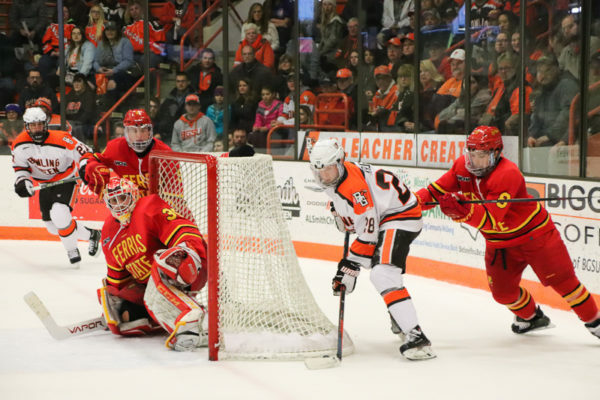 Bowling Green had 16 shots in the first period while Ferris State had seven chances on net. 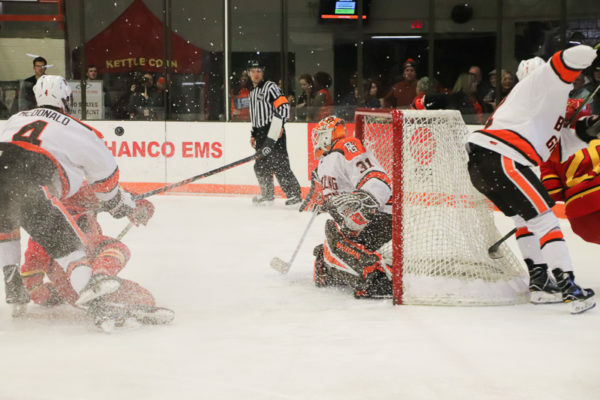 Neither team found the net in the middle frame. 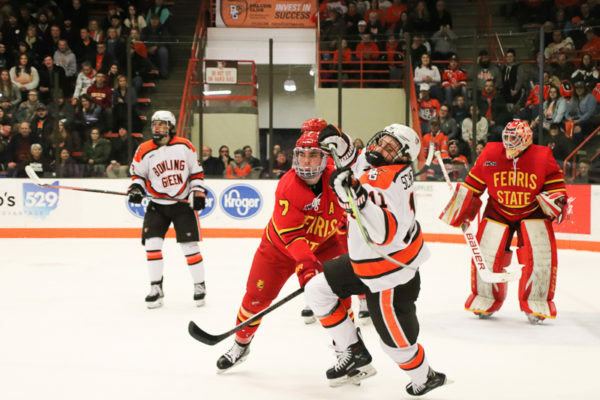 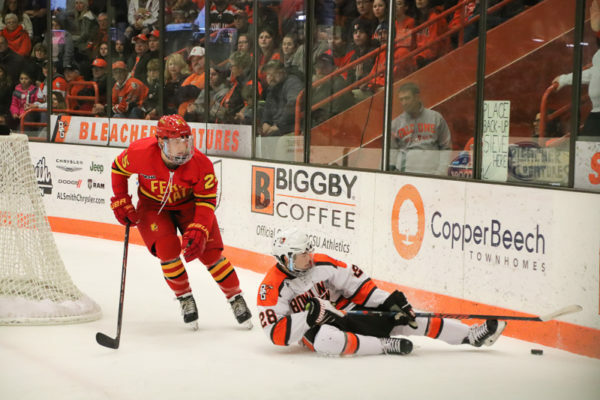 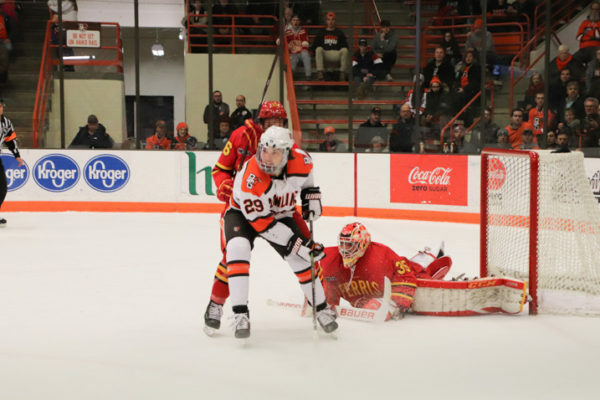 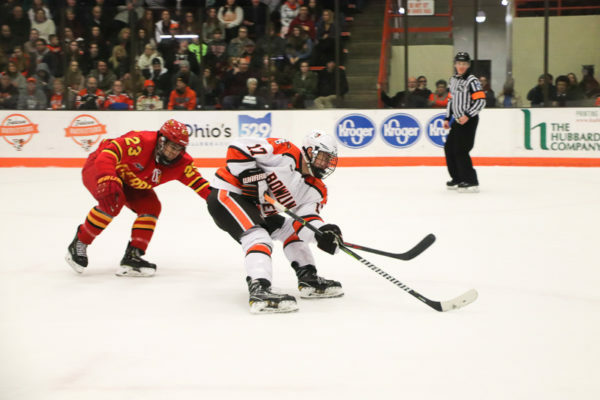 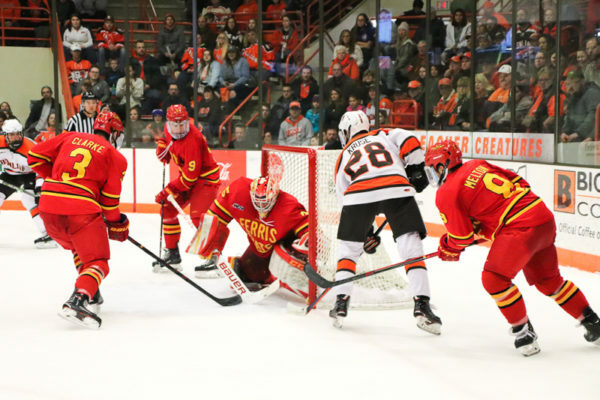 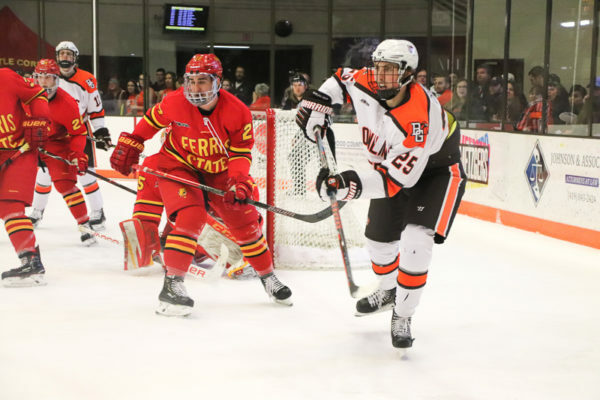 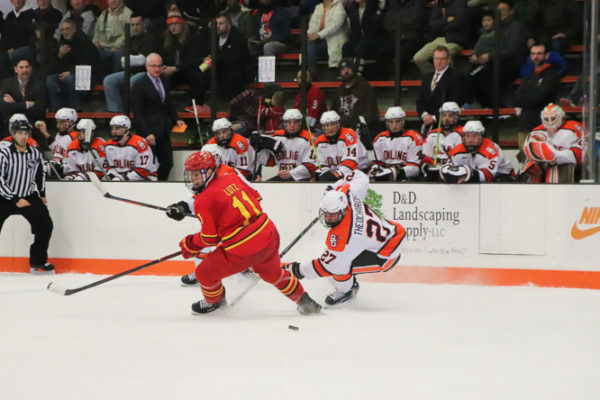 Ferris State had 11 chances on net in the middle frame while Bowling Green had 10 shots. The Bulldogs extended their lead to 2-0 at 4:06 of the third period. 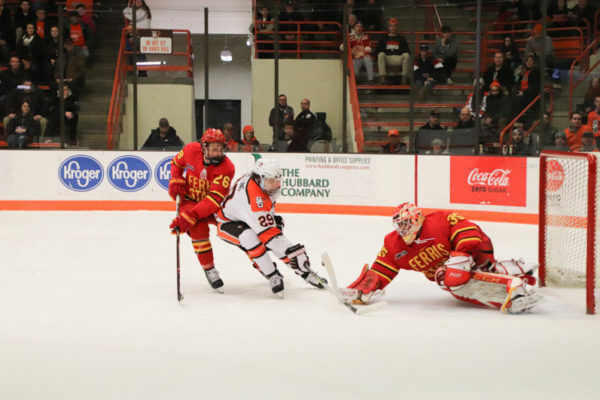 Jake Transit followed-up a shot by Ryker Killins, scoring his third goal of the season. 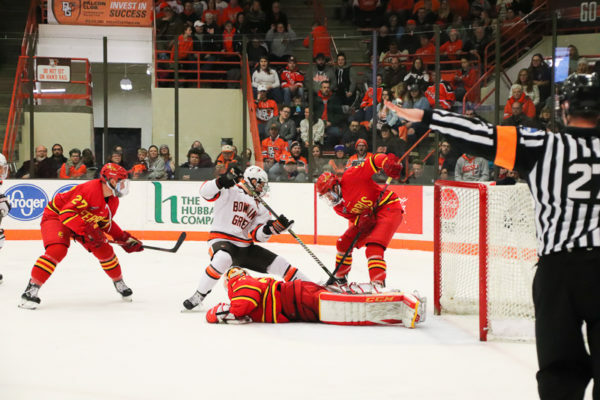 The Falcons thought they picked up their first goal at 11:42 of the third period on a wraparound chance. 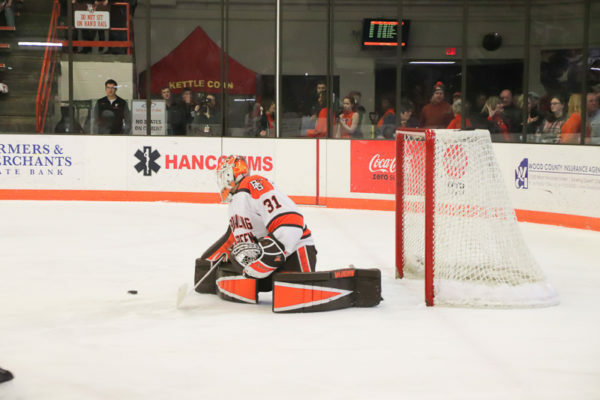 But, a video review showed the puck was saved by Kapelmaster. 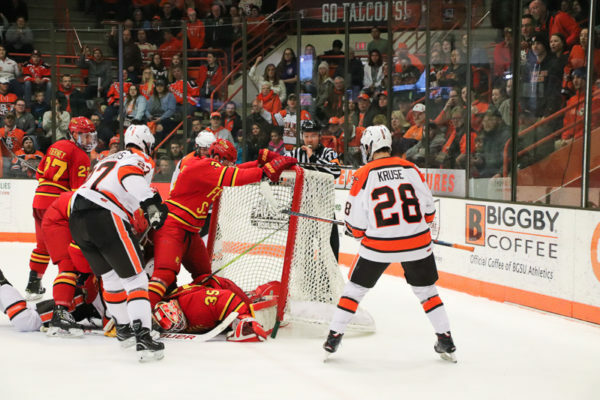 Bowling Green pulled Dop for an extra-attacker with 2:50 to play, but were unable to beat Kapelmaster and gave up an empty-net goal at 18:53 to give the Bulldogs the 3-0 win. 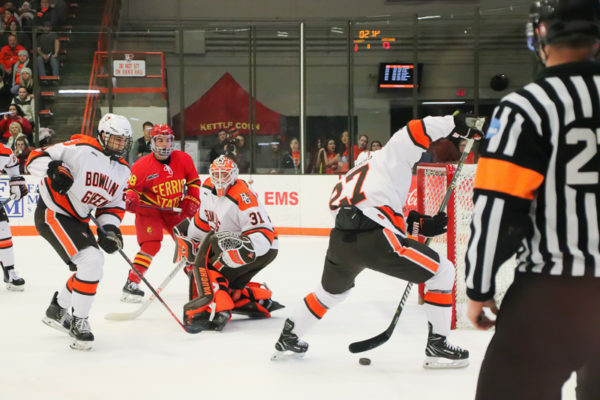 The Falcons had 15 saves in the third period while the Bulldogs had nine chances. 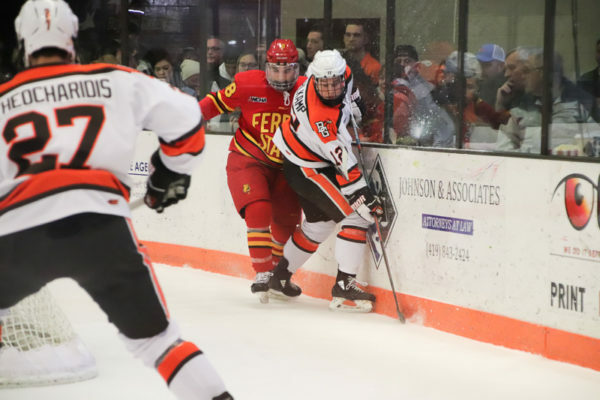 With the loss, the Falcons fall to 17-7-3, 12-6-2-2. 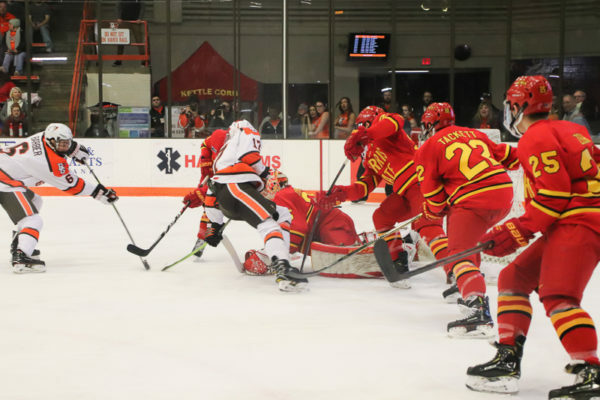 The Bulldogs improve to 7-18-1, 4-13-1-0. 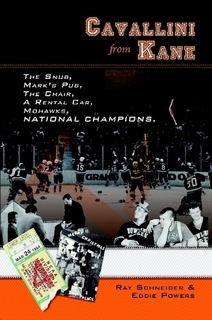 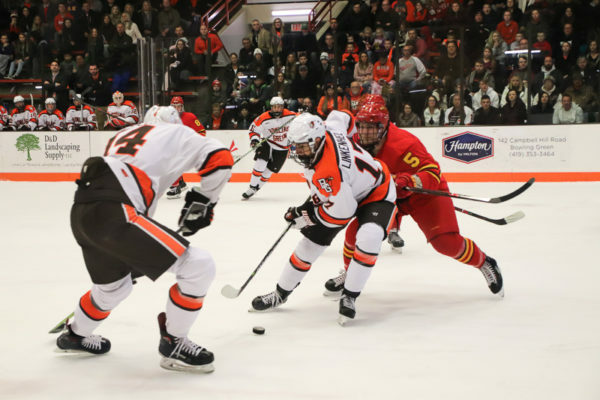 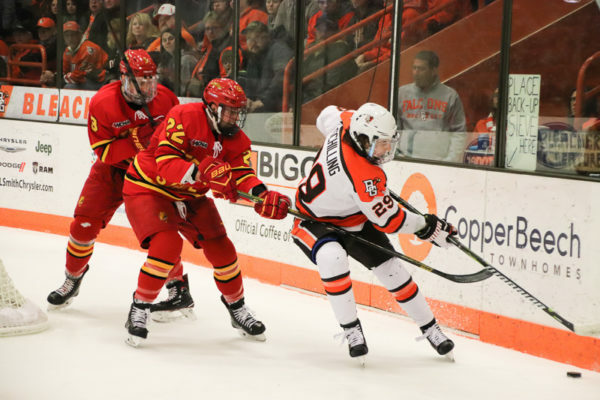 Bowling Green travels to Northern Michigan next weekend to continue their WCHA regular season slate.